Solo Skiff is, without a doubt, the ultimate fishing machine. A fishing kayak, SUP and skiff all in one. The Solo Skiff is a one-piece seamless motorized fishing kayak. 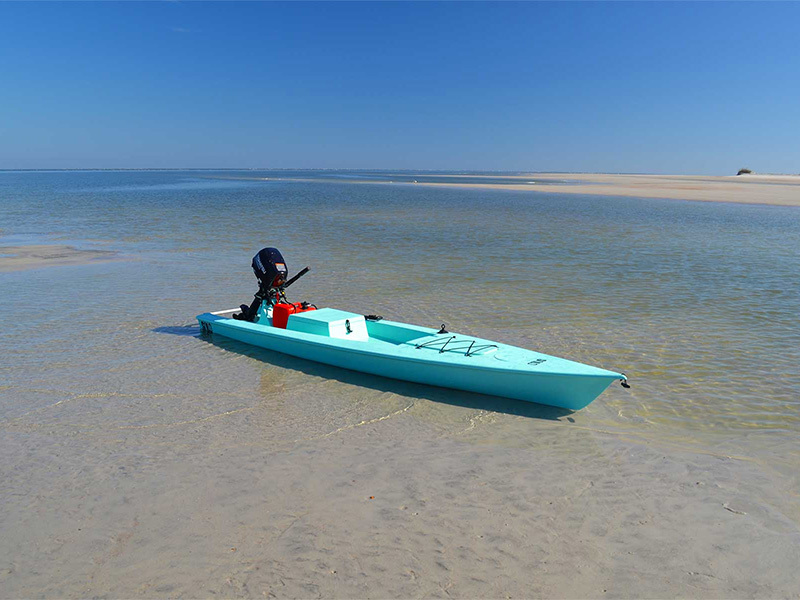 Rotational molded in high density polyethylene, with two layers for a hull thickness of over 1/2″, the Solo Skiff is built like a tank. 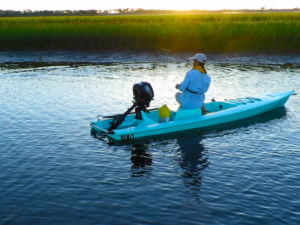 This is the most versatile fishing kayak anywhere – it can float in 3 inches of water, and punch through a wave. 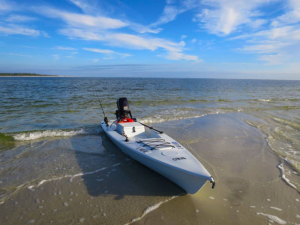 Whether you take it bass fishing or fish the flats or surf, the opportunities are truly endless. 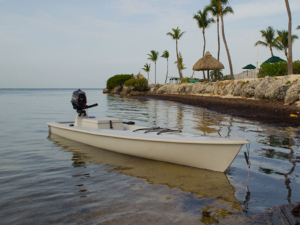 Spend less time traveling to and from your fishing spots because the motor takes you the distance. 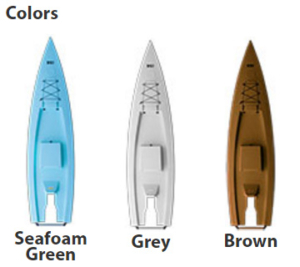 No fighting with wind or current, and no fatigue, so you spend more time fishing. Standing is a breeze. There are no foot wells, odd shapes, pedal hardware nor anything else impeding your movement in the cockpit area. It’s flat and wide open for easy standing. 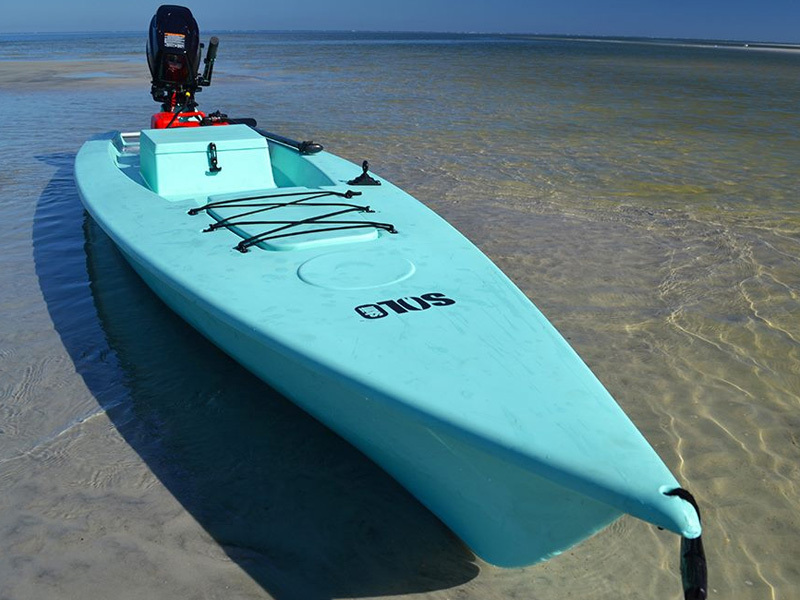 Solo Skiff is designed so everything is central, and easy to manage, in a kayak that is as stable as they come! You want to stand and paddle to sight fish? No worries. 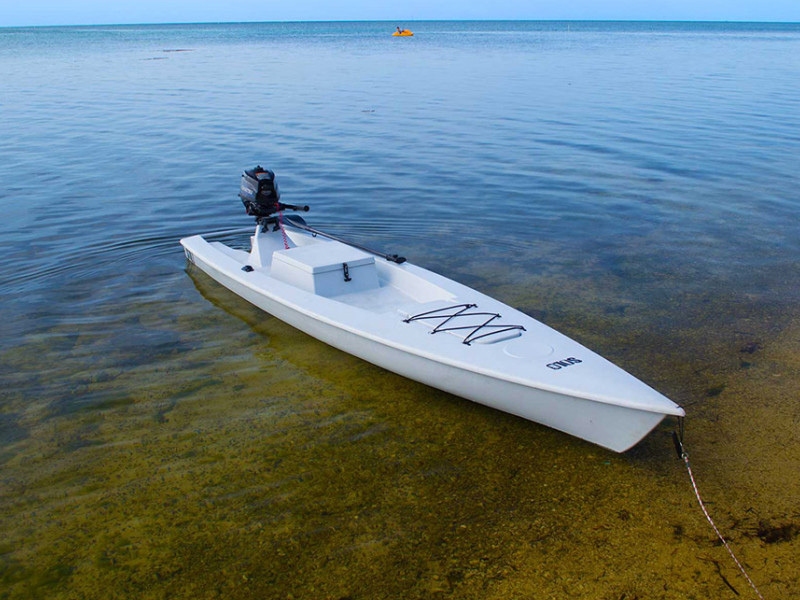 Solo Skiff’s hull design still lets you easily paddle around with an SUP paddle, kayak paddle, or even use a push pole.Without anything protruding from the bottom as seen on on peddle kayaks or SUP’s you can float in water as shallow as 3 inches and easily move around. The Solo Skiff’s deck can’t trap water. 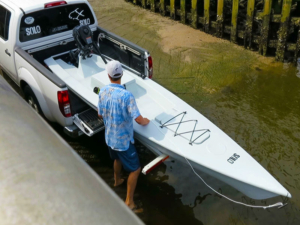 No worries about swamping the boat, because you can’t. Water from a wave runs right out in seconds as there is nothing keeping water in or on the deck. This means no swamping or loss of stability. Can the Solo sink?! No way! Solo Skiff meets full level flotation requirements as set for larger boats by the Coast Guard. With its special two layer engineered hull, and extra flotation blocks, Solo Skiff’s hull is much more buoyant than any other fishing kayak. 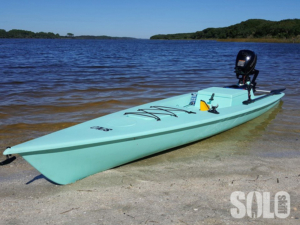 Interested in a Solo Skiff? Come by the shop (we’re open everyday 9 am to 6 pm) or give us a call at (361) 992-2960!